Most of our former Soviet aircraft came from Bulgaria. But the markings sometimes seem confusing. We were told that when the former satellite countries separated they were in a hurry to paint their own national emblems over the old, former Soviet markings. On this Mi-2 much of the over-painting faded, letting older markings show through and giving it a strange appearance. 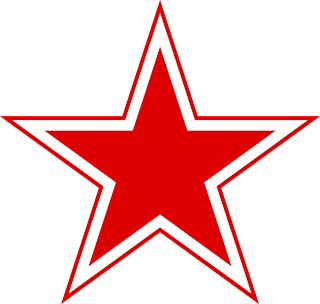 The Russian Air Force emblem was a red star with a white border. The insignia used on Bulgarian aircraft from 1948 until 1992 combined the Bulgarian roundel with the Russian Red Star. 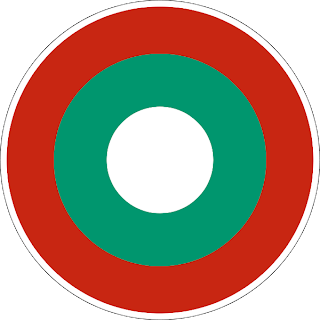 The Bulgarian roundel consists of three colors, White, Green and Red. A large roundel had been painted over the older insignia in the picture above, but most of it has faded away. With the different components identified, it is easier to decode the faded paint in the picture. The emblems and numbering on this aircraft are being reconstituted for an upcoming event.